STAUDERARCHITECTURE is the fourth generation of a firm that has specialized in religious and institutional architecture since the 1920's. 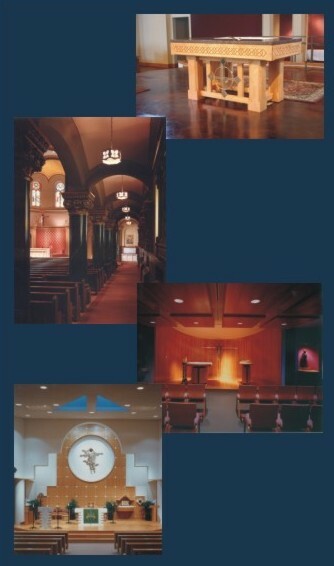 The current generations alone have designed well over 100 churches and related facilities. Other clients include hospitals, fire protection districts and retirement communities. We continuously do work for the State of Missouri on projects such as the State Capitol and Supreme Court Building. We are a six person firm. Four of our members are licensed architects in Missouri, Illinois and a number of other states, one member is a graduate architect and one has a degree in interior design. Our size is such that you can be assured of personal involvement with the principals through all phases of the work.